Big things come in BIG packages! 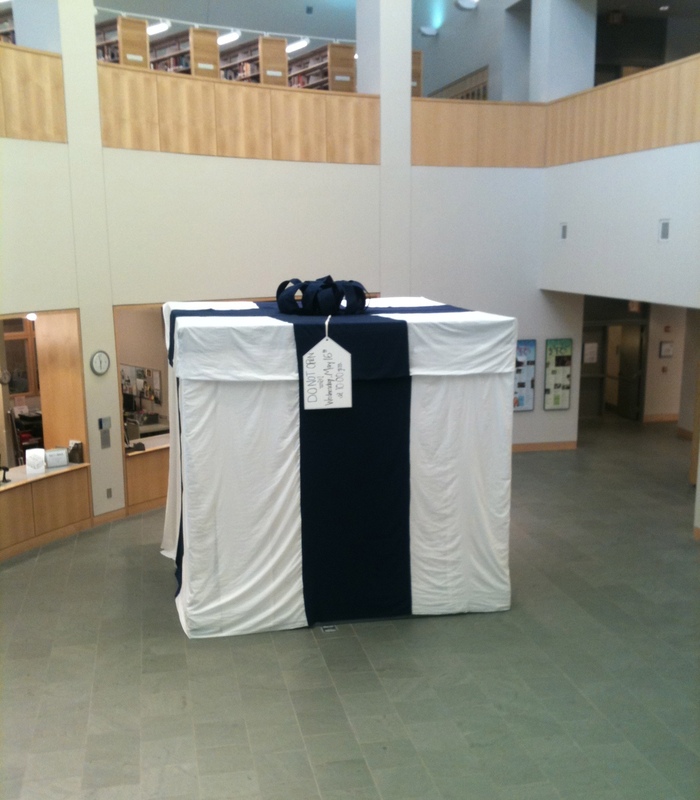 This big gift will be opened during a study break in Davis Family Library on Wed. night at 10pm! Snacks will be provided too! This entry was posted in LIS Staff Interest, Middlebury Community Interest, Post for MiddNotes on May 15, 2012 by Joseph Watson. There was a lively performance by the local band the Dough Boys to thank the parents and students of the class of 2012 for their support of the College. The Office of Communications will be making and sharing a video of the performance, so everyone will eventually get a chance to see it.